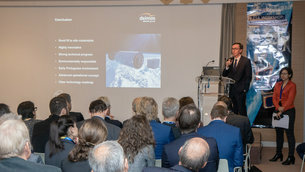 Access to space was in the spotlight at this week's Φ event which followed an ESA-hosted workshop on Europe’s emerging microlaunch services held in Paris, France for industry, investors and institutions. 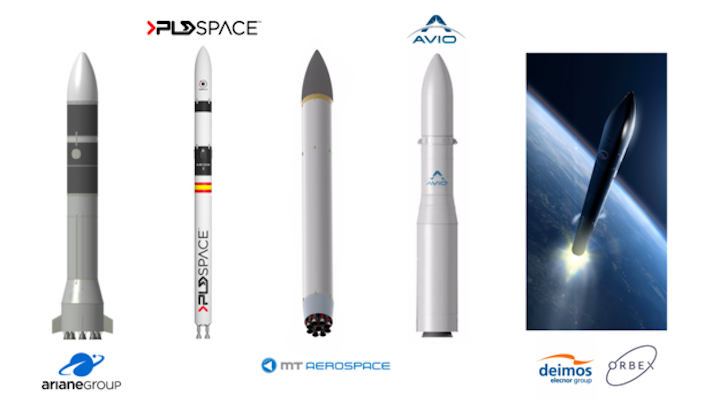 After a presentation at this workshop on ESA’s vision and roadmap, five companies – PLD Space, Deimos, Avio, ArianeGroup and MT Aerospace – each shared the findings of their ESA-funded feasibility studies for an economically viable and commercially self-sustaining microlauncher. ESA organised this networking event as a way of supporting European space innovation and entrepreneurship. There were 150 participants, and more than a hundred business-to-business meetings were held, offering commercial opportunities in a growing small satellites market in search of new ways to access space. This is part of ESA’s Space 4.0 strategy, intended to strengthen European industry by fostering a globally competitive European space sector with increased industry participation in launcher development. Microlaunchers are designed to carry payloads of up to 350 kg – typically small commercial or experimental satellites. PLD Space presented a service based on its Miura (formerly Arion 2) launcher. Deimos and Orbex presented AZμL, a service from the Azores islands using the Orbex prime vehicle. Avio presented a service derived from their Vega workhorse and the upcoming Vega-C.
MT Aerospace presented the results of a trade of analysis including different concepts and launch locations. ArianeGroup presented Q@TS – a "Quick @ccess To Space" ecosystem including a microlauncher concept based on Nammo’s hybrid propulsion technology. ESA is now looking at ways of supporting underlying critical technologies, based on current study results and business opportunities. Chosen technologies would be integrated within ESA’s existing technology portfolio, with opportunities to validate these technologies on large-scale demonstrators.